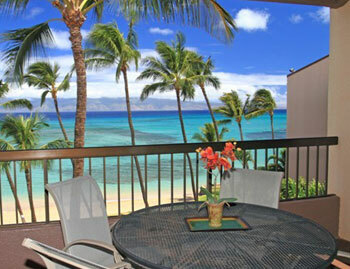 Maui Hawaii Vacations Hale Mahina Beachfront Condos for Rent in Honokowai West Maui. Hale Mahina (Ha-lay Ma-hee-na) means "house of the moon". Nestled halfway between Kaanapali and the Kapalua Maui Resort areas, this beachfront beachfront low-rise vacation rental property is set among lush tropical gardens and showcases a small sandy swimming beach. Relax in the oceanfront pool or Jacuzzi. 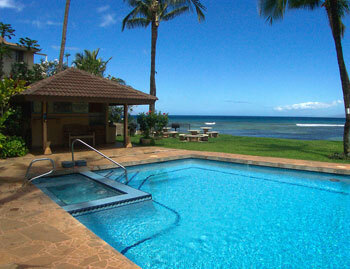 Snorkel or swim just steps from your Maui condominium. Fully equipped and tastefully decorated condos just minutes from the best golf courses, shopping, dining and the famous historic town of Lahaina. 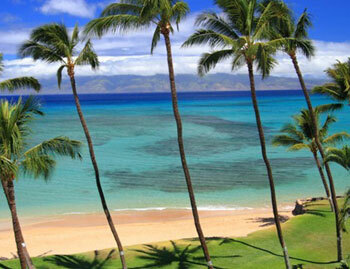 Hale Mahina Resort #A1380207 WE pay it forward! The ALOHA way! Cash $ back after your departure! Hale Mahina #A1380205 WE pay it forward! Cash $ back after your departure! 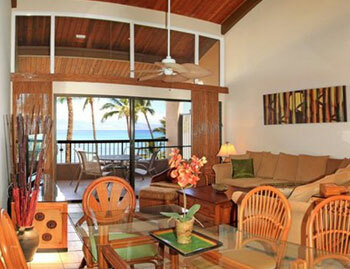 This Ocean Front unit is located right on a beautiful sandy beach in Honokowai, just north of Kaanapali. Hale Mahina #B1380101 WE pay it forward! The ALOHA way! Cash $ back after your departure! 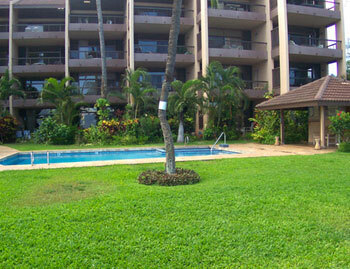 One bedroom, ground floor end unit at the Hale Mahina Beach Resort in lovely Honokowai, just north of Kaanapali. Hale Mahina #B1380102 WE pay it forward-The ALOHA way! Cash $ back after your departure! Just steps away from the beach this ground floor direct ocean front view unit is a great pick for your Hawaiian vacation. Hale Mahina #B1380103 WE pay you to stay! Cash $ back after your departure! 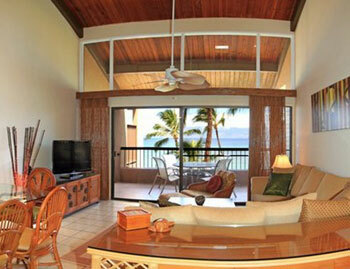 This Ocean front unit sets on a sandy beach in Honokowai, just north of Kaanapali. Hale Mahina #B1380304-WE pay it forward! The ALOHA way! Cash $ back after your departure! 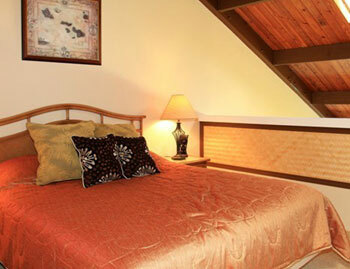 This elegant oceanfront 1 bedroom in Honokowai has tile in the living room and kitchen and is carpeted in the bedroom. Hale Mahina #B1380303 WE pay you to stay! Cash $ back after your departure! 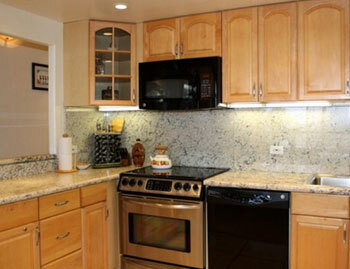 This is a remodeled ocean front 1 bedroom condo on the 3rd floor of building B at the Hale Mahina Beach Resort. Hale Mahina Resort #B1380404 WE pay it forward! The ALOHA way! Cash $ back after your departure! Hale Mahina #B1380403 -WE pay it forward! The ALOHA way! Cash $ back after your departure! Beautiful views in a relaxed setting! Kitchen remodeled in Dec 2015.